Ever question the validity of current bio-feedback methodologies? I am with you! My thought at the end of a presentation always questions the leap of connection between physiology and emotion. The heart races, the body temperature rises, the eyes focus left center… how then does one interpret this reaction with scientific evidence of emotive relationships? How is it transactional for clients who need to inform decisions? Well buckle your seatbelt! There is finally a bio-feedback method rooted in decades of academic science. Importantly, this method utilizes the brain’s reactions as emotive measures which were developed by the world’s leading neurologists, physiologists, and psychologists, examined and verified by similar experts, and currently utilized to develop theories, agents, and the like! This past Friday, Drs. Hirak Parikh and Amit Patel presented a case study demonstrating the power of this revolutionary method at the QRCA DC Chapter November meeting. Dr. Parikh explains, neuro-feedback is method that can be applied to predicting human behavior. This is an unmet need in current market research practices. The market research discipline’s purpose is to provide consumer insights, thoughts, and ideas that drive brand decisions and fuel a company’s desire to increase consumer-buying behavior. Using this predictive power to translate consumer brain waves into emotions may revolutionize the qualitative market research industry. Dr. Patel provided context for which the use of neuro-feedback compares to traditional research. Using a pen and paper survey method, ADHD participants first responded without influence, then responded to the same questions using the neruo-feedback method. The findings: compelling with the same findings! 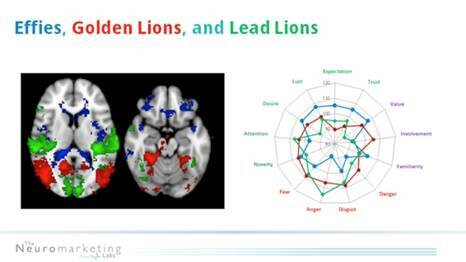 This predictive power of neuro-feedback can be used in a variety of markets. Pharmaceuticals pricing, food, even fashion! Another example: a shoe boutique in Austria wanted to determine which shoes consumers would buy without having to manufacture 100 samples of each. Dr. Parikh conducted neuro-feedback sessions to determine which shoes would produce the most sales. Participants were presented with images of prospective shoes individually while their brains were monitored. The result: 87% success rate, that is, left-over inventory reduction decreased significantly. Neuro-feedback is no longer simply a measure of a biological response that science uses to heal and diagnose! It’s a valuable tool for any company interested in realizing the emotive connection to stimulus. Drs. Parikh and Patel note: This method does not replace qualitative research, it is a tool for the enhancement of it. We are neuro-scientists, not psychologists who we need to inquire around and interpret our findings to arm clients’ decisions. This method truly embodies The Research Group’s philosophy: Innovation through discovery! This entry was posted on Wednesday, November 19th, 2014 at 6:31 pm. Both comments and pings are currently closed.